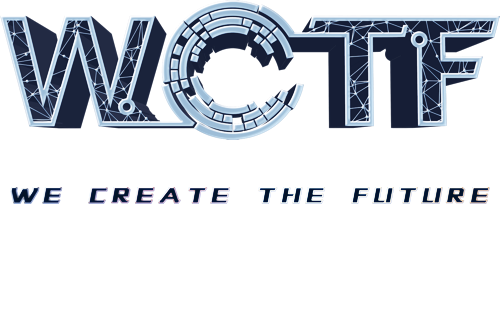 Founded in June, 2016, WCTF invites the world’s best CTF teams and security experts to gather together on this hacking fest. It is organized by 360 Vulcan Team and exclusively sponsored by Qihoo 360. Now, WCTF has become one of the top world-	class CTF competitions in China. WCTF Committee select ten top teams on ctftime according to last year's ranking and performance and invite them to come to the on-site competition in Beijing. The ten teams will compete for a total bonus of $100,000 USD. The top three teams of WCTF 2018 will be awarded with $50,000, $30,000 and $20,000, respectively. WCTF provides a platform for the top hackers in the world to battle in the cyber space. More importantly, as part of the competition, players will share their problem-solving method and ideas in the end. This will be a great opportunity to learn from each otehr and communicate security technique and thinking with the top talents. The excitement and content is comparable to the top security conferences and we believe it will become a wealth for all the participants. Bonus： The top three teaks will be awarded with 3,000 USD, 2,000 USD, and 1,000 USD， respectively. The top winner will also be invited to next year's on-site WCTF. Penalty： The following behaviours result in immediate disqualification:leaking or sharing challenges; intentional attacks against WCTF servers or other players' devices. TokyoWesterns is a team whose members (live in/go to university in) western side of Tokyo. Th team held Tokyo Westerns CTF 3rd 2017. They won the second prize in WCTF 2017 with a bonus of 30,000 USD. Tea Deliverers is a CTF team from China and was newly formed in April, 2017. Team members are from different universities and security companies. This year, they ranked No.3 in PlaidCTF and won the sencond prize in Defcon Quals. Korea University’s undergraduate cyber security research club established in 2011. We participate in various CTFs to keep up with the latest cyber security trends. Especially, We like china and chinese food (Tsingtao is love) :-).Won the second prize in WCTF 2016 with a bonus of 30,000 USD.Won the second prize in WCTF 2016 with a bonus of 30,000 USD. Team r3kapig is a delicacy that includes Eur3ka and FlappyPig. It can be grilled, fried or barbecued. It is our goal to provide the best food for the masters. 360Vulcan Team is the binary vulnerability research team in 360 Internet Security and Innovation Center. Team members are great at vulnerability exploiting and have in-depth understanding of system security. Meanwhile, they are also experienced in product research and development. Some members have been nominated for the MSRC TOP 100. Some of them have also been awarded with the Microsoft BlueHat Prize and the Microsoft Edge Project Spartan for multiple times. This battle-hardened team used to impress the world with break records in IE browser on Pwn2Own 2015, Adobe Flash Player and Google Chrome on Pwn2Own 2016, Windows Edge and Adobe Player on Pwnfest 2016.On Pwn2Own 2017, 360Vulcan Team led the 360 Team successfully broke Windows Edge, Windows 10, Apple Safari, Mac OS and Adobe Flash Player to become the champion and has been awarded as the "Master of Pwn". So far, 360Vulcan Team has submitted hundreds of high risks security vulnerabilities to major software vendors like Microsoft, Google, Adobe. Li Kang is a professor of computer science at the University of Georgia and the director of Georgia Institute for Cybersecurity and Privacy. His research interests are in the area of system and network security. His research results have been published at academic conferences such as IEEE S&P, ACM CCS, and NDSS. KANG LI has been actively participating industrial security conferences. He has presented multiple times at both BlackHat US and ShmooCon KANG LI has more than 10 years of experiences organizing and participating CTF competitions. He is the founder of multiple CTF teams, including Disekt, SecDawgs, and Boyd306. He is the founding mentor of the Blue Lotus team and an early initiator of the XCTF competition league. Pangu Lab is a security laboratory consisting of many senior security professionals with rich experience across a wide range of security research and industrial development. The members of the Pangu Lab discovered hundreds of 0day vulnerabilities in major operating systems and applications, and presented many papers and talks at the premier forums such as Black Hat, CanSecWest, Syscan, RUXCON, HITCon, PoC, XCon , IEEE S&P, USENIX Security, ACM CCS, and NDSS. Pangu Lab’s current research focuses on mobile security. Team Pangu is known for its multiple releases of untethered jailbreak tools for iOS 7, iOS 8, and iOS 9. Team Pangu was also the first to jailbreak iOS 8 and iOS 9 in the world. Besides iOS, Pangu Lab also made great progress in Android security research, and developed various products for discovering vulnerabilities in Android apps, detecting malicious Android apps, and mining mobile threat information. Dr. Zhang Chao is an Associate Professor at Tsinghua University. He was selected and nominated as a member of the national youth project “Thousand Talents Program” and the “Young Talents Lifting Project” of China Association for Science and Technology. His main research area is system and software security, focusing on vulnerability research, exploitation and defense, Dr. Zhang has published a number of research papers on many well-known academic journals, including one that is of the 10 most-cited scientific papers by BIG in 2013. His research results also won Microsoft BlueHat special nomination award. Under his leadership, his team participated in the DARPA Cyber Grand Challenge and was the winner of preliminary defense game and runner-up of the attack game. As a former player of Blue Lotus, he and the team used to win the second prize in the Defcon CTF in 2016. Matt Suiche is the founder of threat hunting startup Comae Technologies and cybersecurity conference OPCDE present in Africa and Middle East. Matt is a review board member of multiple conferences such as BlackHat USA and Shakacon. He is co-founder of application virtualization start-up CloudVolumes, acquired by VMware in 2014. And most recently had been called a fun guy by the infamous TheShadowBrokers after covering their releases over 2016-2017. In order to keep pace with on-site WCTF, the on-line WCTF server and system will be shut down synchronously when the on-site WCTF is off during the event. Open time: UTC 02:00-10:00, July 6th; UTC 01:40-10:00, July 7th. Deadline for Registration: UTC 15:00, July 5th. *Please be notified that that the tickets are not refundable. Please send email to wctf@360safe.com, we will get back to you asap. You have successfully registered for WCTF 2018, the admin system for players are not open yet, please wait for our email.